According to Sadie Linton’s obituary, funeral services for 3-year-old Sadie and her mother Hailey Brown will take place Saturday, April 13th. Family will greet friends from 3pm to 4pm at Forest Pine Church, followed by funeral services at 4pm. After the service, Hailey and Sadie will be laid to rest together in the church cemetery. The victims of Tuesday’s triple homicide in Cheraw have been identified. Authorities say 29-year-old Hailey Brown and 27-year-old Cordarius Foster were killed in the shooting, along with a three-year-old child. 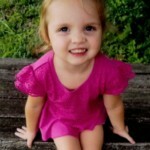 The CCSO says they can not release the child’s name due to state law, but an obituary identifies her as Brown’s daughter, Sadie Grace Linton. According to the obituary, Linton was not the daughter of Foster. Sheriff JD Dixon says the investigation is still very active but there is no threat to the community. Sheriff Dixon also says more information will be released when the time is appropriate. Funeral arrangements for the victims have not yet been announced. 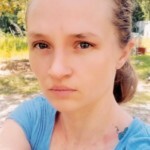 CHESTERFIELD, S.C. — Deputies are investigating a triple homicide in Chesterfield County, South Carolina. 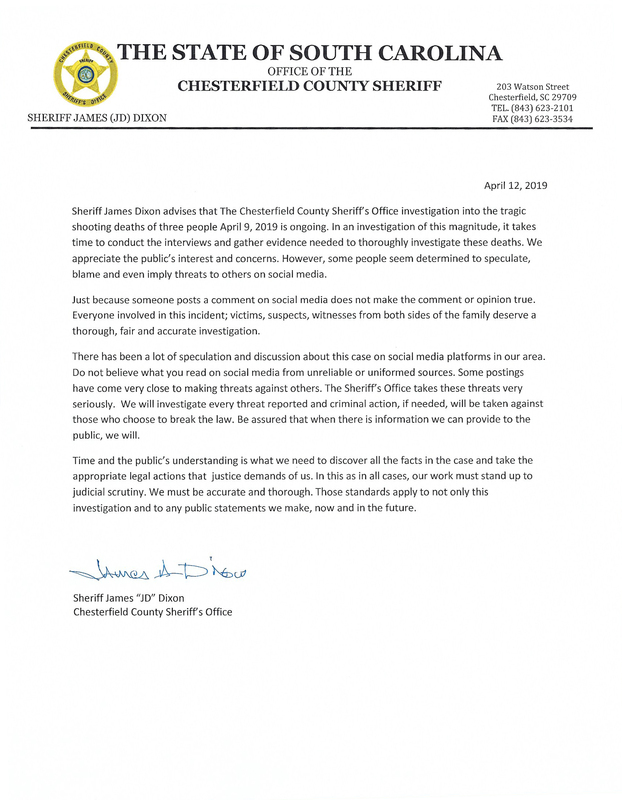 The Chesterfield County Sheriff’s Office says the investigation started around 12:30pm on Tuesday, April 9th. Three people were found dead suffering from gunshot wounds at a home on Society Hill Road in Cheraw. Sheriff James Dixon said in a release Tuesday afternoon, “there is no longer a threat in this investigation.” No further details have been released at this time. WCCB has a crew at the scene. Check back for updates.